Receive 20% off with our Online Reservation System! You will receive free ski, board, and pole storage with your rental. All packages include skis, boots and poles. The latest technology from K2, Volkl, Salomon, Dynastar and Rossignol. Ski types include (but are not limited to): all-mountain, twin tip, women's specific, powder specific. All-mountain ski by Volkl, boots by Dalbello. Great ski for beginner to intermediate skiers. 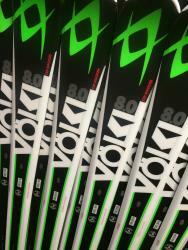 Skis by Volkl and Salomon, easy on/off boot by Dalbello. Head brand boards and boots with a strap-in ratchet binding system. The boots have the convienient BOA lace system. Adult and child helmets from Giro.